Known as the phyllostachys nigra, black bamboo is a distinctive plant that you might be interested in planting and cultivating in your lovely backyard. When it comes to growing anything new, however, you might at first feel overwhelmed at the seemingly daunting task. But we are here to reassure you that to plant and grow black bamboo is not as difficult as you might think, and we are here to show you how! Read on to find out more about this special bamboo plant, as well as techniques on how and when to plant black bamboo as a lovely addition to your already-teeming garden. Pretty soon, you will have flourishing plants that you would be proud to call your own. 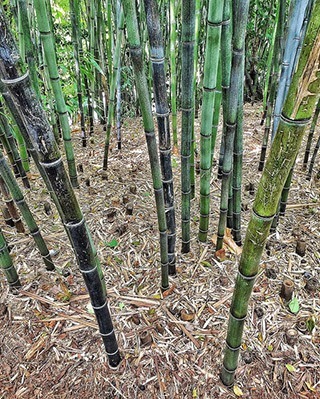 When Is The Best Time To Grow Black Bamboo? How Do You Grow Black Bamboo? How Do You Care For Black Bamboo? What To Do With Troubleshooting Issues? Also known as whangee cane, black bamboo is lush and tall with arching canes, as well as evergreen leaves that reach up to twelve inches in size. It is native to China and has a hardiness scale of H5, which means that it can withstand even the coldest of weather, around -15 to -10 degrees Celsius. At first, it is a green color when first starting out, but over time, it turns a brownish black color, hence giving it its appropriate name. Typically, it takes anywhere from five to ten years for black bamboo to reach full maturity, and ultimately it reaches heights of up to four meters, as well as up to four meters in width. 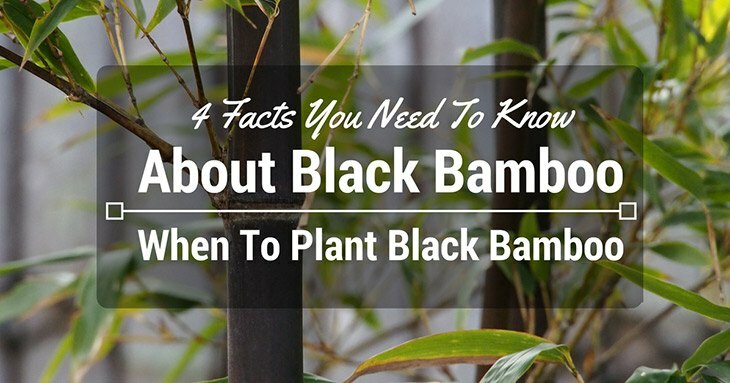 The ideal time to start planting and cultivating black bamboo is in the spring, when the weather is just beginning to get warmer and there is rain to keep the soil moist and offer plenty of water for the bamboo to naturally grow. Spring time is when you start the process of propagating, i.e. spreading out the growth, of the plant by division. In other words, you will need to split up the main plant (known as the “parent plant”) by cutting it into several pieces for multiple growth. Performing this activity during the spring time is best, just because it is easier to handle the parent plant when it is dormant and not growing yet, but soon to be shortly thereafter propagation. If you have had any experience with growing different types of bamboo, then doing so with black bamboo is about the same strategy. First things first, you will need to consider two aspects: the type of soil you will be using and the amount of sunlight for the budding plants. 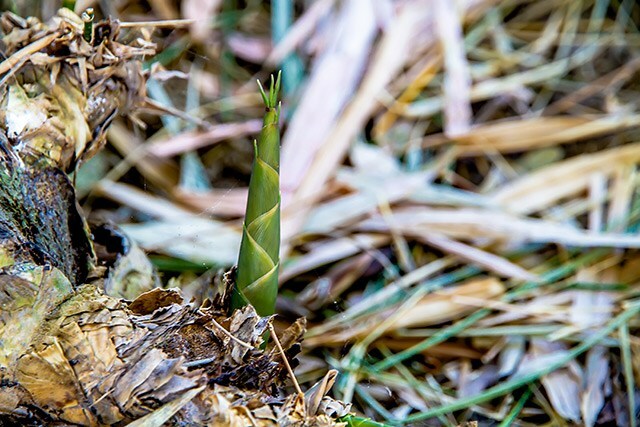 For the former, it is best to plant black bamboo is moist, humus-rich, and well-drained soil, as these qualities help the bamboo retain water better for nourishment. On the other hand, either full or partial shade should do the trick, since black bamboo needs just a bit of sunlight to continue growing and maturing. When you first start out, you most likely plant black bamboo in a container, so that it can be easily contained and grow efficiently. To care for it, make sure that you put it in loam-based compost as well as place fertilizer or liquid fertilizer in it every single month. If you notice the black bamboo starting to have weak, sickly stems or overgrowing flowering shoots, then it is necessary to prune them, i.e. remove them by simply trimming them with specialized garden pruners and tools so as to be careful not to damage them in the process while keeping your plant nice and healthy. Like with anything involving gardening and planting, you will more so than likely encounter problems with your plant’s growth progress. Whether major or minor issues, there is always something to come up that is outside of your control. Best thing to do is remain calm about it, do your research, and tend to your plants in a quick and timely manner. For instance, if your black bamboo becomes a target for slugs, make sure to keep your soil dry and not as wet, since slugs tend to be attracted to those types of climates. It also helps to place physical barriers around your bamboo to make it harder for them to reach it. Soon enough, your garden will be slug-free! All in all, planting and growing black bamboo can be a solid investment for your garden, for this particular plant is easy to grow and yields a distinctive appearance that makes your garden lively and more interesting. Knowing how to plant and care for it is the first step to a successful project for your home, and you will be happy that you did so!